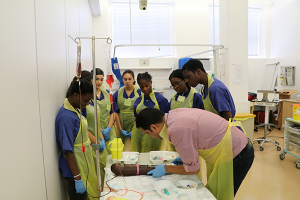 GCSE students from schools across south London have spent a week finding out about health research and patient care from some of the country’s top scientists. They experienced some of the same training that physical and mental health doctors, nurses, and researchers undergo, including a simulated cardiac arrest situation, first aid and taking blood samples. 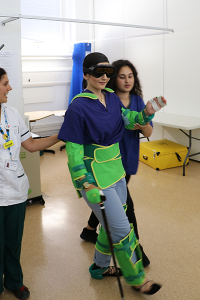 Now in its fifth year, the King’s Health Partners Summer School is organised by our Patient Involvement and Engagement team within the NIHR Guy’s and St Thomas’ Biomedical Research Centre, in collaboration with South London and Maudsley NHS Foundation Trust and King’s College London. 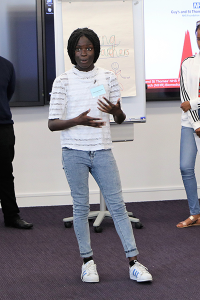 The Summer School is open to young people from Southwark, Lambeth and Lewisham. After receiving a number of very high quality applications, we chose 20 students who came together for five action-packed days. 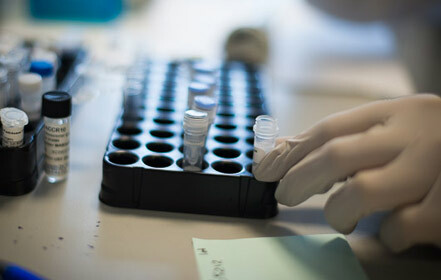 They found out about what’s really involved in clinical research and delivering healthcare to our local populations. They also got a flavour of a range of careers, from working as a researcher to providing frontline patient care. 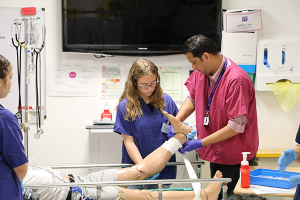 As the students approach a time when they need to make decisions about their future, the Summer School gave them the opportunity to gain an insight into careers across clinical research and healthcare and the topics they could study in higher education. “We thoroughly enjoyed having the students with us this week. We were impressed with the insightful questions they asked and the commitment they showed to the week. “It was very rewarding for myself and colleagues to work with the local students who joined us for the Summer School. Their intellectual curiosity and dedicated engagement in activities was impressive. Find out more about the work of the PPIE team, how you can get involved in research and about our engagement activities here. Alternatively please contact either Jacintha McGahon or Claire O’Neill.